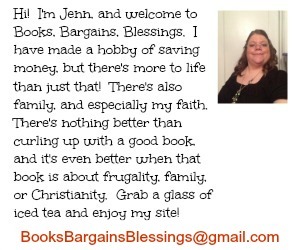 Books, Bargains, Blessings: When you get TMJ from cleaning your purse! When you get TMJ from cleaning your purse! I found a great deal on a hotel stays. I always wanted to go to Williamsburg, so I played around with dates, and was able to book a room for four nights for $60 TOTAL. So my mother and I headed off into a dreary, rainy Williamsburg experience. It was cold, and rained our entire trip. There's not much to do in 40 degree rain in Williamsburg! We did go to Virginia Beach to the IMAX theater, see the ocean (sitting in the car while it was raining! ), a used book sale, and to visit an online friend of mine. The only other thing we did besides eat out was I went to Sabbath service at the synagogue in Williamsburg to get a little Hebrew practice. Well, on the day before we were to come home, I was sitting on my bed cleaning out my purse. I leaned back. I was sitting at the top of the bed and if leaned back, I should have only leaned back on the bed in a half sitting, half lying position. However, that isn't what happened. Somehow I was propelled a couple extra feet and went over the bottom of the bed head first. The hotel floor was cement with thin carpet over it. (With us paying $15 a night, you know this was no fancy hotel.) I have heard accidnet victims say things seem to happen in slow motion. That's what happened as I was falling. I thought, "I'm never going to be able to walk again." I landed on the floor, head first. I think I blacked out for a few seconds because my mother said she was talking to me and I wasn't responding. My first thought when I came to was, "Can I move my toes?" I could, thankfully, and amazingly the only thing that happened to me physically was I developed a severe case of TMJ. Even though this was two years ago, I still have pain from time to time, although my attitude is why tell anyone because there's nothing anyone can do, and you just make those around you miserable when you complain about pain. I had to use a straw to drink out of for days because I couldn't open my mouth wide enough to drink. In fact, I actually had to dribble water from a straw into my mouth at one point because I couldn't open my mouth wide enough for a straw. I still have no idea how I fell off that bed. Mom said if she didn't see it she wouldn't have believed it. A friend of mine told me a ghost pushed me when I told her the story, and she insisted there are lots of ghosts in Williamsburg. I have no idea what hapened, but I am just thankful I wasn't hurt any more than I was. So, there's the story. I'm afraid it's not as exciting as what Sara had hoped when she asked me to tell about it, but the mystery still remains how I fell off the bed onto my head in the first place! I know I'm clumsy, but like I said if I had just fallen backwards, I would have been lying on the bed, but I was propelled a few feet further and then tell upside down. Thanks for telling the story. You should write a book. Really. I'm afraid to laugh, because right now, I'm in a motel room! LOL Ooopss.....I laughed anyway.